A unique and contemporary hand lettered greeting card designed for a special little lady. This super-sweet children's birthday card makes the perfect alternative to the traditional birthday card for girls. 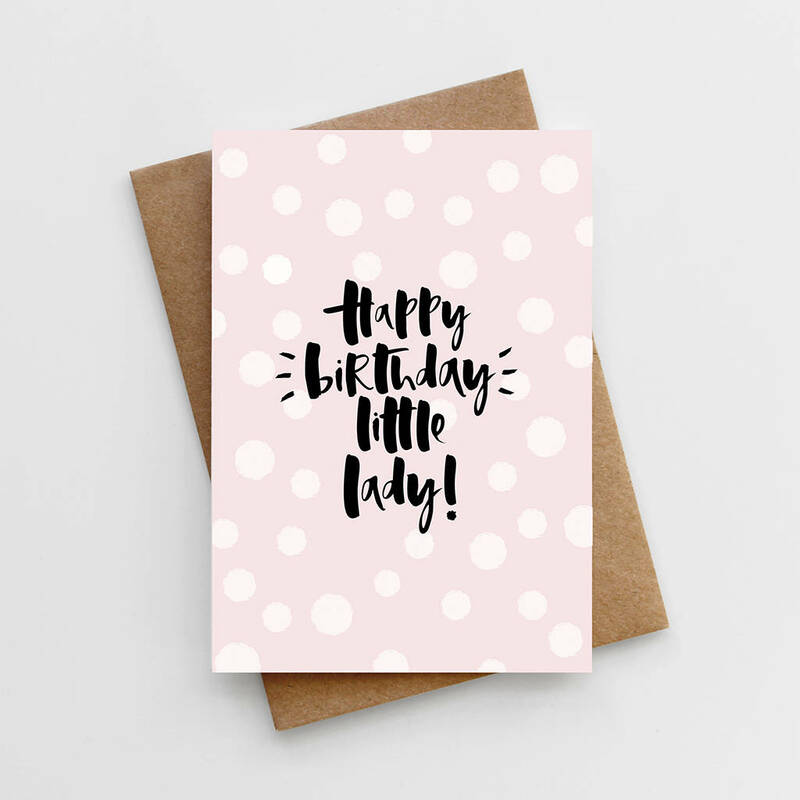 Featuring our classic, hand lettered typography, the phrase 'Happy Birthday, Little Lady' is written in deep black ink, layered over a soft, dusky blush background and a sprinkling of white polka dots. Our unique, contemporary and eye catching designs are printed on luxurious, eco-friendly, textured card and teamed with a recycled kraft envelope. 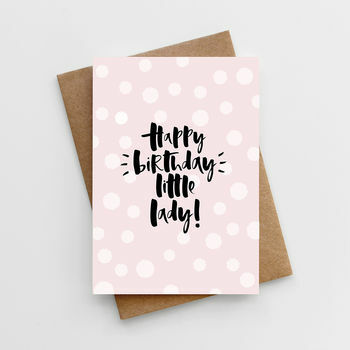 'Happy Birthday, Little Lady' Birthday Card is 10.5 x 14.8cm (A6) and comes with a 11.4 x 16.2cm (C6) envelope.